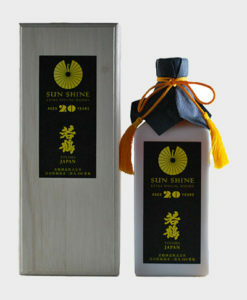 This special bottle was produced to celebrate the 20th anniversary of the Fuji-Gotemba distillery, which opened in 1973. 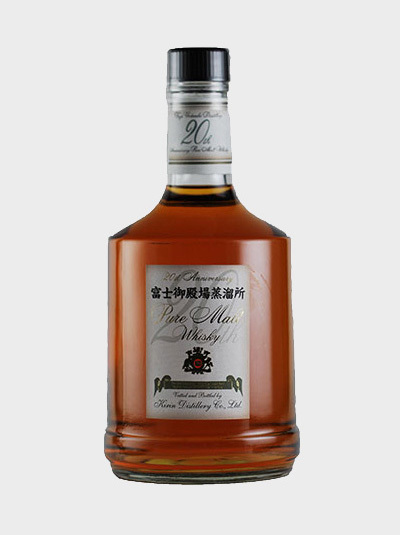 The bottle is therefore from 1993, when Japanese distillers were sometimes a little casual with their use of whisky terms. 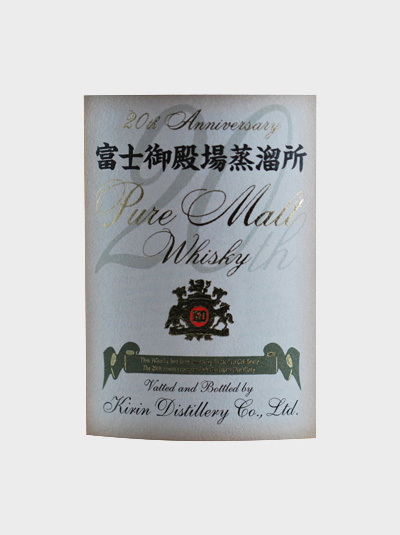 At the time, it was not unknown for single malts to be called pure malts. Kirin breweries is one of the largest breweries in Japan. Its roots stretch back to 1869, when a Norwegian American business man named William Copeland founded the spring valley brewery in Yokohama. The founders took Copeland’s assets over and set up their own brewery, which they called Japan Brewery company in 1885. 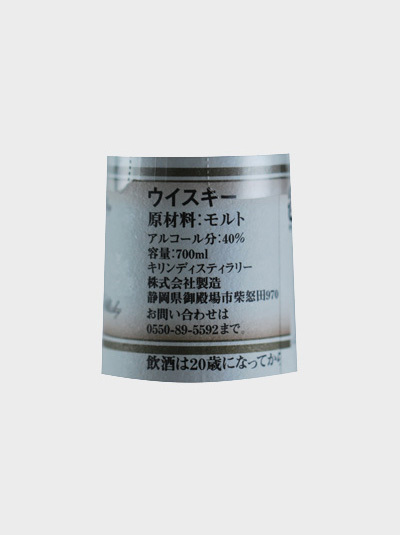 In 1888 it began production of Kirin beer, which today is a major beer brand of Japan.